This box requires 7 moves to open. This box comes with an instruction manual and a gift box. All our boxes are hand-crafted. 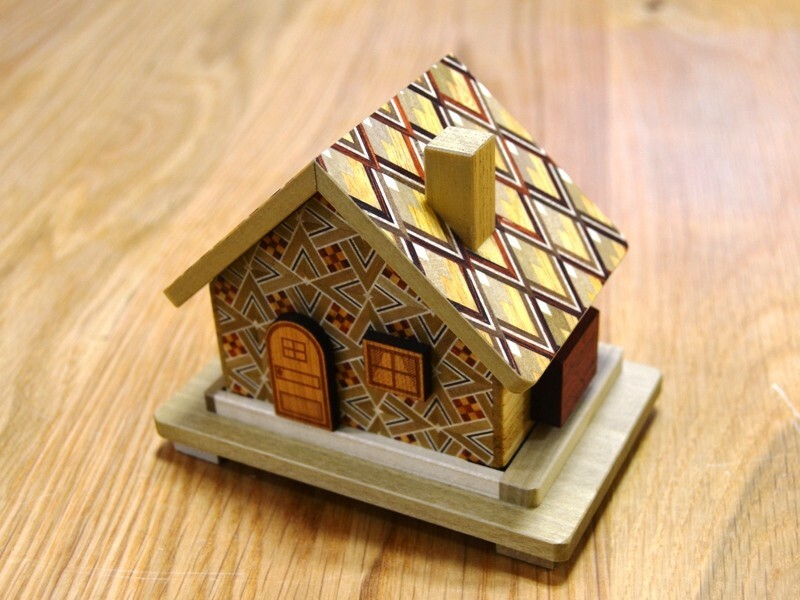 The Japanese Puzzle Box, trick box, secret box and magic box is known in Japan as “Himitsu-Bako”. 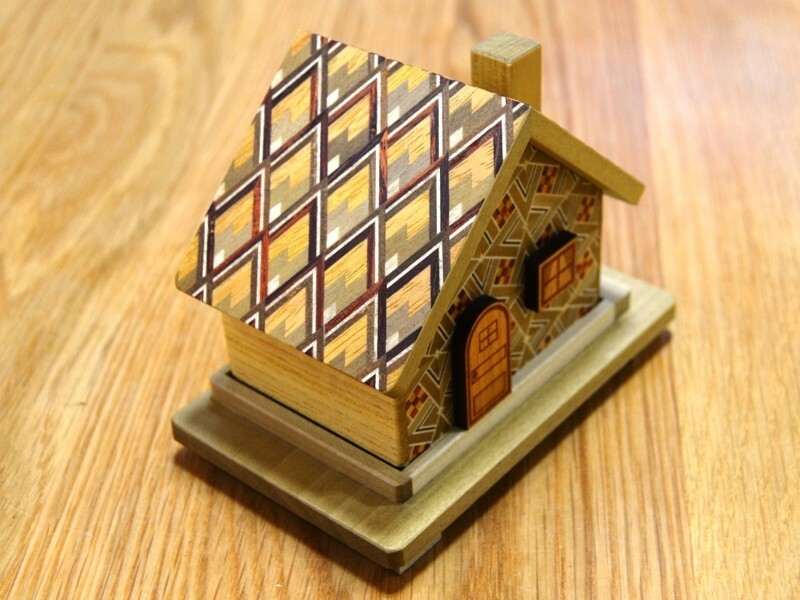 WHAT IS A JAPANESE PUZZLE BOX? 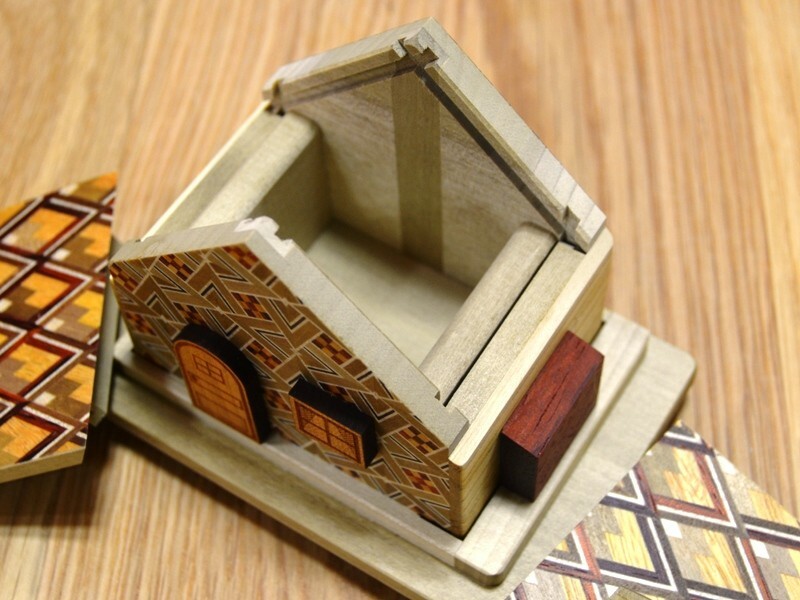 The Himitsu-Bako is an enclosed box, seemingly with no opening, and you cannot even tell which side is the top or bottom. Its mechanism is quite tricky. It is impossible to open it unless you follow the exact step-by-step procedure, such as pushing or pulling a certain side at a time, designed specially for it. To be opened, each box must be rotated, turned and moved in a specific way. It takes between 1 to 1,536 moves (STEP) to open a box. 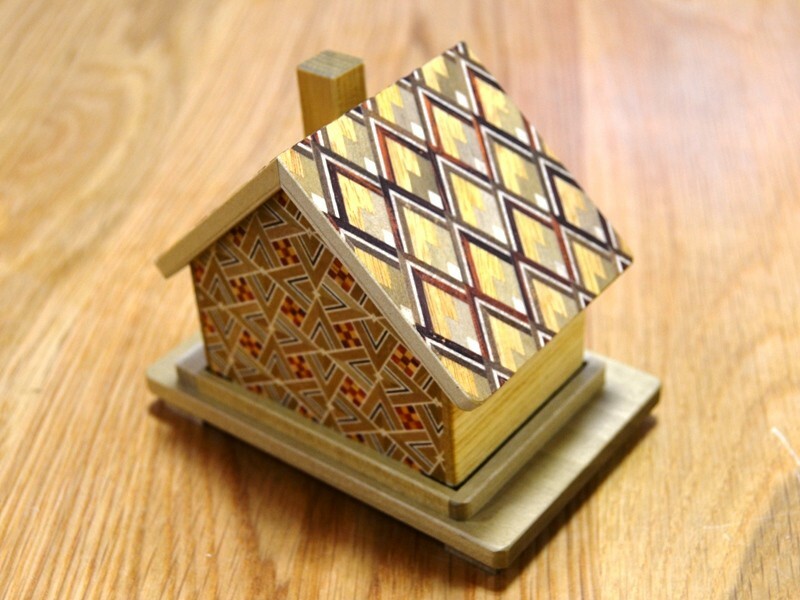 The size of a Japanese puzzle box is measured with a traditional Japanese length measuring system called “SUN”.